Hello again. It's my second post today and that itself is a miracle with all that is going on in my household, which I am not going into, but let's just say I need to stamp to keep my sanity, so stamping I do. If you are looking for the JustRite Papercrafts post, please scroll down. I made this sweet card for Scrap-mart using a couple of pretty Spellbinders dies and a pretty La Blanche stamp, which is the pretty flower. 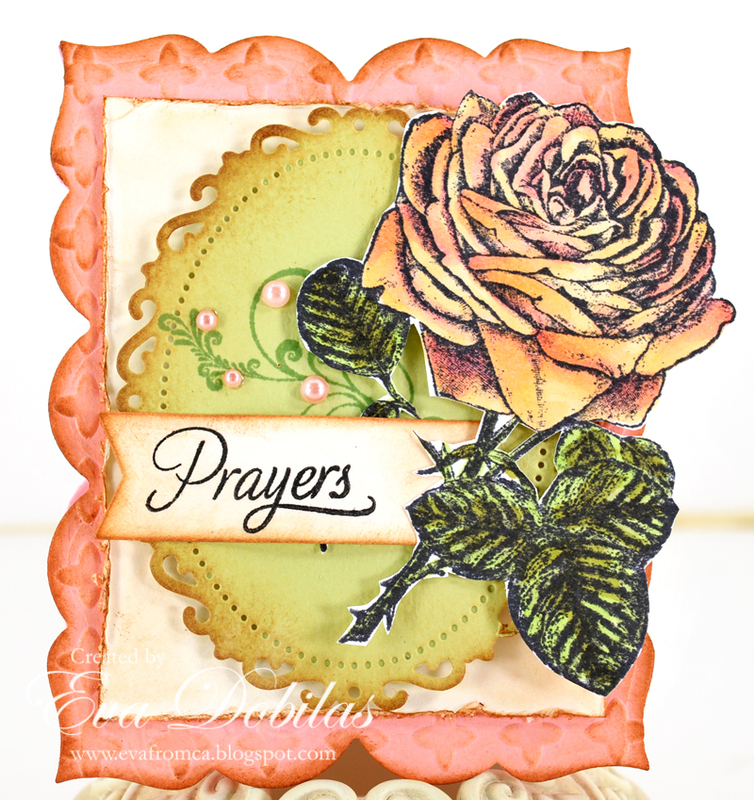 The sentiment is from a new JustRite Papercrafts stamp called Botanical Medallions and Banners. The Spellbinders I used are Spellbinders Labels Twenty-Three and Floral Ovals. I also embossed the card base shape with Spellbinders Valor M-bossibilites and distressed my edges using Ranger Distress Inks. I never finish my cards without adding that touch to the edges. My flower was colored in with Copic markers. I added a few little pearls just as an added little interest. I think it turned out quite sweet. Well, that is it for today. Hope you visit Scrap-mart for some crafty shopping, as you will always get a great price there. Thanks for stopping by. Hope you like what you see and have a fabulous day!